Sun Country Airlines is based at the Minneapolis–Saint Paul International Airport. Its regularly scheduled flights go to 22 domestic locations and 11 international destinations in Mexico and the Caribbean. The airline also operates a number of charter flights, including to Cuba. Charter flights cannot be booked as awards. 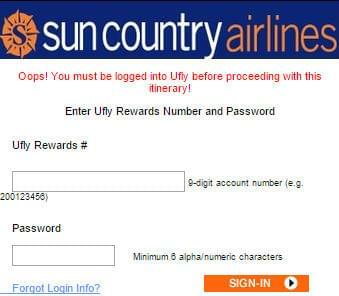 If you live in or close to Minneapolis, or if you often fly there, you should consider joining Sun Country Airlines’ loyalty program, Ufly. While the carrier bills itself as a low-cost airline, it’s not as no-frills as Spirit or Frontier. You won’t be charged for carry-on bags or seat assignments, and the airline has a first class cabin. When Should You Use Ufly Awards? Ufly is a revenue-based awards program. 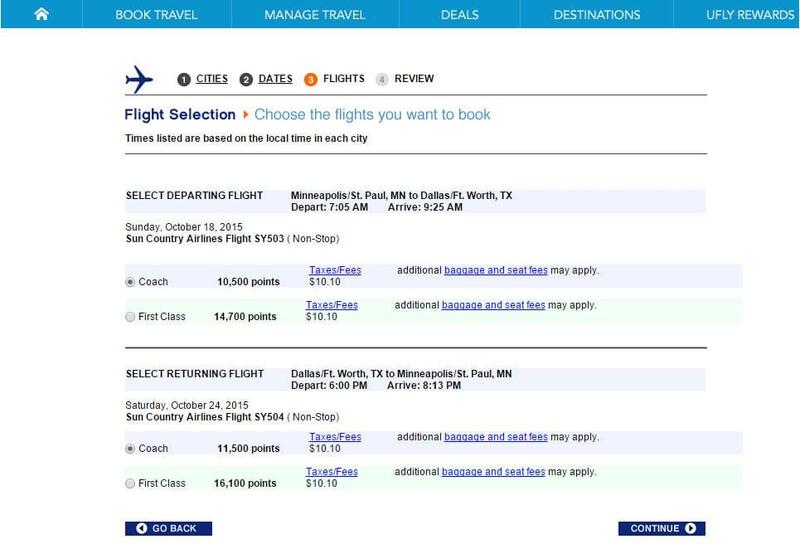 In general, the cost of an award flight is tied to the cash price of the ticket. That’s not always the case, though, as redemption rates also depend on date, destination and class of service. If you’d like to stretch your points, short flights are your best option. Longer flights don’t usually have the best redemption rates. Sun Country offers cheap first class tickets with comfortable seats, hot meals and friendly service. The difference between coach and first class on a short hop can be as little as 2,500 points, so it’s worth considering the indulgence. You’ll be prompted to sign in before completing your transaction. After signing in, you’ll be prompted to update your personal information, if necessary, and pay for any taxes and fees that apply to your award flight. 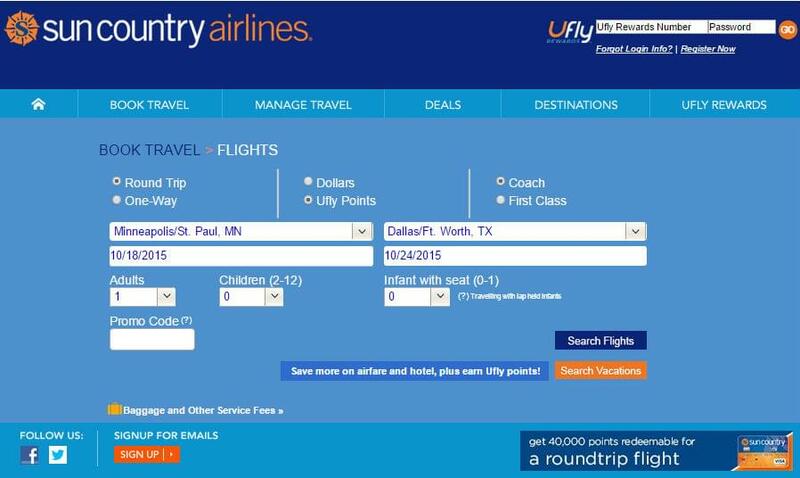 If you pay with a Sun Country Airlines credit card, your first checked bag will be free. 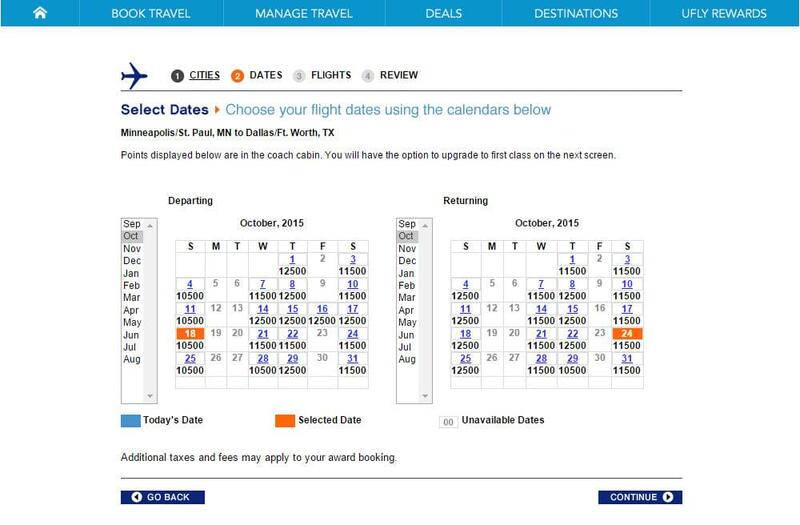 Since Sun Country doesn’t have any partners, and the airline’s website is intuitive and easy to use, the only reason you’ll need to call is to change or cancel your award ticket.